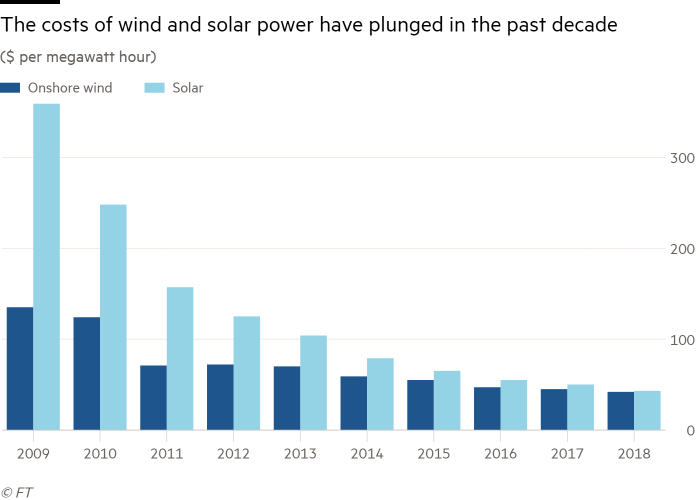 I want to follow up on my renewable energy article from Monday with another look at the renewable energy sector. And later I will fill you in on three renewable energy stocks leading the way that hail from Europe. Vestas Wind Systems (OTC: VWDRY) and Siemens Gamesa Renewable Energy (OTC: GCTAY). 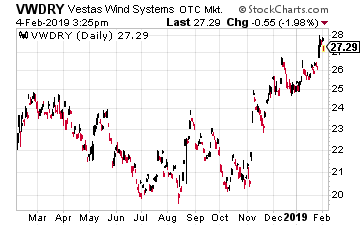 Vestas’ stock here in the U.S. is much more liquid than Gamesa’s, but both companies are doing very well. A new wave of breakthrough technology has already sent stocks soaring 618%, 834%, even 2,500%. And yet Wall Street is completely oblivious to it. Today I reveal the No. 1 stock to profit from it.